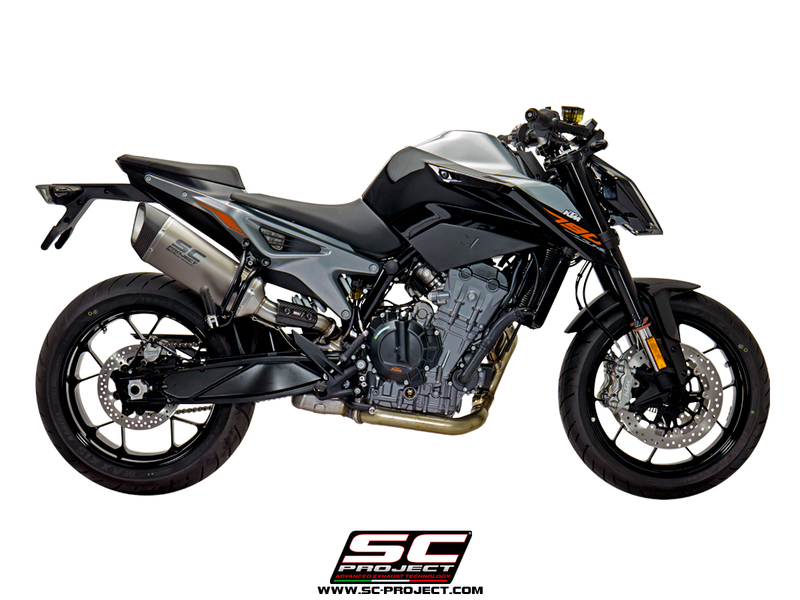 What is the BEST exhaust for the KTM 790 Duke? The KTM 790 Duke is the ultimate hooligan machine and deserves to sound off when the throttle is twisted! To be the best exhaust, you have to use the best materials. SC-Project certainly delivers. Sound and performance are the main reason to upgrade to an aftermarket exhaust. However, the weight savings from ditching the overweight stock exhaust is a commonly overlooked benefit. With there being so many exhaust options these days, here are a few things to look for in your aftermarket exhaust. Find the exhaust that completes the overall “look and style” you are going for. Choose a brand that has a REAL racing heritage. Just putting "racing" in your name is not enough. Look for a lightweight and durable material like Titanium or Carbon Fiber. SC-Project is a leader in the motorsport racing world. With multiple consecutive World Championship titles across MotoGP, Moto2, Moto3 and more, the racing heritage is strong with SC-Project exhausts. This means that the millions of dollars and hours spent on research and development for the top racing teams in the world, lends its technology to be used in the production of consumer level exhausts. 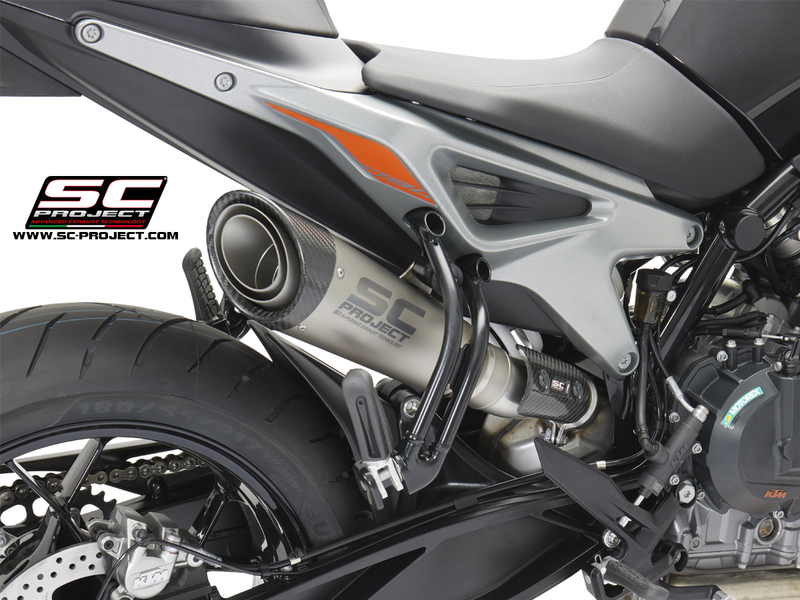 With a focus on premium materials like titanium and carbon fiber, SC-Project exhausts can stand up to the heavy stress of road racing and hard street riding. Premium materials offer premium results. Saving weight in many cases is the same as adding horsepower to your machine. 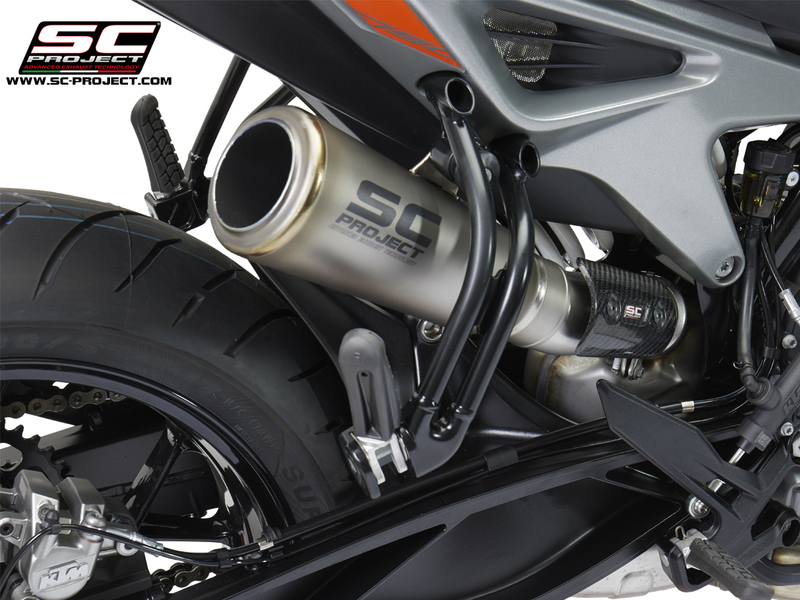 With multiple styles and finishes to choose from, SC-Project offers a wide range of exhaust options to fit your desired aesthetic and overall style of your motorcycle. Choose what the Champions choose with SC-Project Exhausts.